Calibration delivery time 2-3 business days (via email, download). Payment by credit card are serviced by PayPal. with unlimited number of predictions. 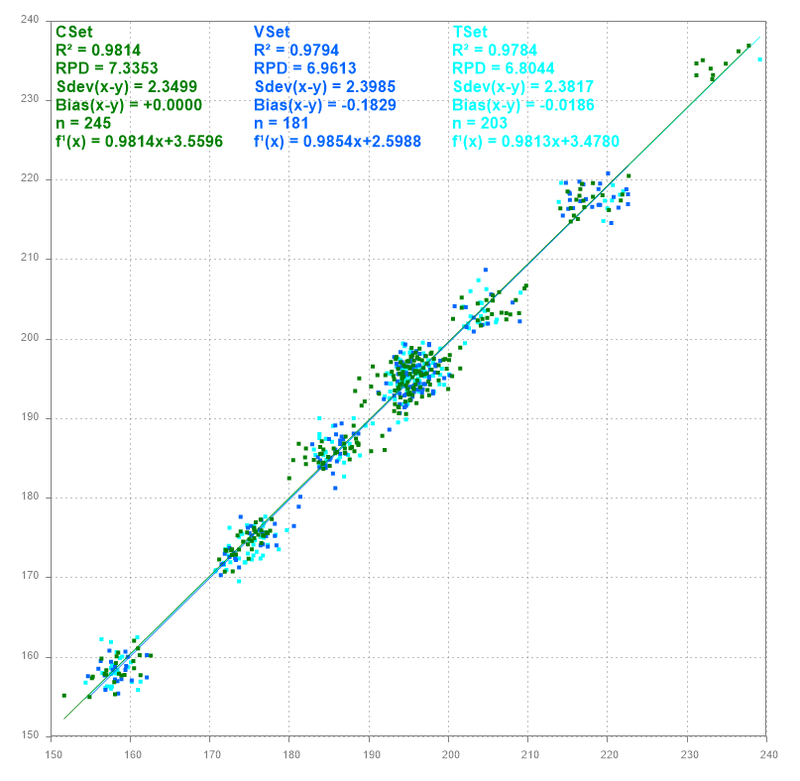 To check if a NIR-Application is possible with your data, the cost is the one-time fee for Calibration development, because it includes a 30-day trial of the calibration with the free NIR-Predictor software, so you can predict new measured samples. And if it’s useful for you then extending the usage time with the Calibration annual usage fee in a second step. You don’t need to buy a chemometric software license with updates and training days. You get a free NIR-Predictor software and can locally do unlimited predictions. 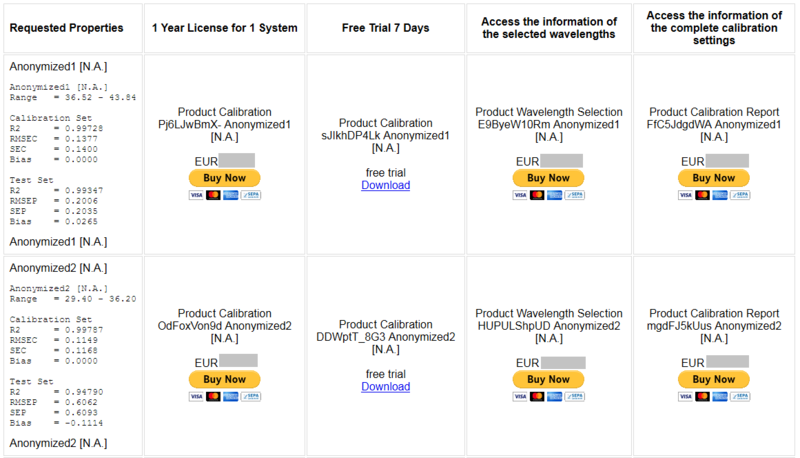 Shows two developed Calibrations from Anonymized Data and the access to the selected wavelengths and the complete calibration-settings-report of the optimized calibrations. Calibration is customized to your data. Calibration is delivered as a file (.cm) for local use (no internet connection needed for prediction) with the free NIR-Predictor Software. *) property (quantitative) : chemical-, biochemical-, physicochemical- or physical-property, constituent, analyte, ingredient, parameter or attribute value. *) optional is not needed for working with the free NIR-Predictor software, it’s optional. Opens advanced possibilities.